Today we had a full field session on the turf in St Catharines. So both U13 boys teams can prepare, we shared the field. We both took 45 minutes on the field. We moved the one goal way back into the football end-zone so the team that was off the field can work on other things. It worked out OK and two teams got to have a fairly useful training session after a frustrating week of rain. Faking a shot properly requires a full body approach- arms, hips, head, foot all used to "sell" the shot. We have a problem with a few players shooting when the player is in front of them or make the move and don't get on the ball quickly enough to shoot. If you don't get on it quickly the defender has time to re-organize. There was visible team-wide improvement and it's something we will address again. I am confident we can get every player on track. We then went to 3v3 and looking for the players to use those fakes and chops to create space to shoot, pass or dribble. We demonstrated a few situations where it can happen. It was going "not too bad" then I realized the shape of the attackers was all wrong. After fixing that it was better. When we went to full field, the players seemed to be in a learning mood. All we did was start at the kickoff position, 11 players in grey, 3 in blue just jogging within the play. We ran it as a shadow play type of setup. All of the balls were at the touch line at half. As the ball moved around we were just massaging the shape into place. We then switched to a sequence where the ball had to move in and out of the midfield and moved around the field so the team was forced to move. It worked OK and it was our first time. Coach Paul's job was to prevent having both central defenders or attacking midfielders on the same side of the field. That worked out OK.
Today we had a few parents helping bring the balls back into a good starting position helping keep the flow of practice going. I felt a bit rushed during the shadow play but that's mainly because I wanted to keep going. It was my first time doing it with this group and I had a little chat with them about trying to stay attentive because coaching over such a large area is difficult. Not their fault, but I had to at least put that bug in their ear. I hate to do it, but next time I will use a whistle to stop the play. Practice was early today (8am) but the boys were energetic and the 1v1 3v3 exercises early on had some spirit. The next time I need to make better use of the three players who were wearing pinnies and not part of the 11. I didn't want them defending just yet, but next time they will play a more opposing role. You forget how difficult it is coaching full field after being indoor for 4 months. Did the players understand what we wanted? I think so. Was the organization suitable? Today the organization did not hurt our progress. Did they show improvement? I would say "some". Did we put them in a position to get more out of the next session? No doubt. Did they enjoy the session? They continued to work till the end. I think they enjoyed the 1v1 3v3 portion more. But they knew we have to work on this and splitting the field meant we had the full field second today. Assistant's feedback: not happy with shooting after the 1v1 move in first exercise, happy with progress during shadow play but wants to see stronger passes. Next session? Full field with some defending, faster pace, practice driving ball with laces. We had our annual parent meeting last night. It started off with a bit of confusion because the establishment where we said we would meet was crazy busy and we made a last minute switch. Everybody got there OK but it did start off a bit unorganized. Even though it's "only" soccer , it's still an environment where parents are leaving their sons in the care of another adult 3-4 times/week. I think it would be a sad day in my coaching if I were to not call the meeting and make Coach Paul and me available for questions. There is never any friction at these events and it's a nice bunch of families we have on our team, but the process has to be respected and carried out. My voice may sound like noise after three years and most know the drill, but it has to be done. We did say we wanted parents to have a little more involvement this year around the perimeter of the actual soccer. It's good for the team, it's good for the boys and it's good for the parents to be together. Next year I will not be caught off guard like that with respect to the meeting place. I will also develop a new format for this so it's not a fourth year of the same old stuff. Maybe get the boys involved. The same type of parent meeting for the fourth year will serve nobody positively, in terms of team development. I am looking forward to a good year. U13 and St Mike's , not a good soccer day! Today we cancelled an 11v11 session with the U13 boys and a phase-of-play session with the St Mike's boys. 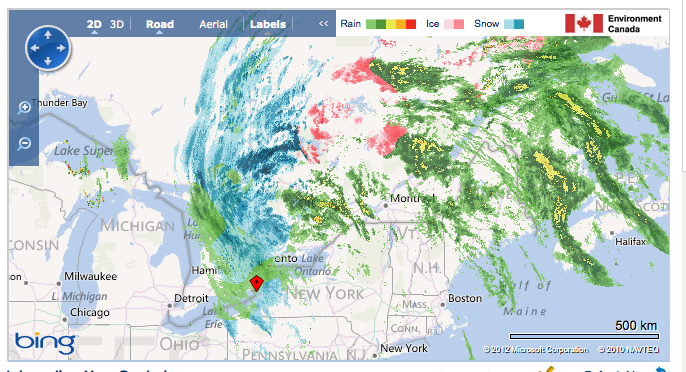 There was a SNOW STORM on April 23. What the heck?? it was -5'C with snow and rain. Bad news for both. 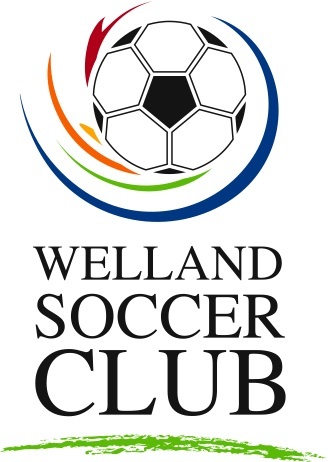 For the Welland U13 boys, we just came off 2 good sessions and may not be able to get in another team-only session before our friendly on Monday. Today was our chance to set the tone for Monday. For the St Mike's boys, they have a tournament Tuesday. After the tournament this past Friday, this was a chance to fix a few issues before they play again tomorrow. I am not a big fan of playing 2 games in a row without a training session to make some adjustments. You also have players who may have had a bad game and a training session is a good time to get some good positive touches on the ball to rebuild confidence. This afternoon we had a session with the U17 Welland boys. My goal was to get into a small sided game and work on shape and moving with the ball. We then moved them to a functional drill when we set up a grid approx 60yds long and 20yds wide to simulate a slice of field that 4 defenders might use to work the ball around the back. We had 2 grids facing each other. We started with the boys moving the ball back and forth, working on their shape and technique and how to properly execute the sequence. All players were to make their first touch/look forward looking to attack (head up, eyes probing), then turn and pass to support. Both sides were doing it, facing each other with no defenders. We then put a passive defender in there just moving with the ball and forcing some decisions by the 4 players. We then took one ball out and each team had a target player in the opposite grid. So the ball was being moved around looking to play a ball to the target. Most times he wasn't open so the ball had to be turned moved to support, quickly. To make it more realistic, I worked on the defensive shape of the other team to set the stage. The target player when you were in possession was a defending players when the other team was in possession, pressuring "high". The next progression was 2 target men (also acting as high pressure) and this was forcing the ball to move quicker and sooner. We were getting some success and the players were feeling their success. Some players struggled with the idea of the wide players staying wide in possession so I demonstrated how they are important support for the target players if they are stuck. Shape is EVERYTHING in this exercise. The next progression was having the 2 target men and one extra cross into the grid when defending. Now it was 4v3 but the 2 target men now had one less defender in that half, making them easier targets. Was it a smash success? No. Did they make progress and improve? I would say yes. During a brief question and answer session the coaches realized the players were getting the idea. They understood that sometimes they were under immense pressure receiving the ball because the shape was collapsing and they were taking away their own space. When we moved to our small sides game, we introduced how the shape of the back players would form in different situations and how the midfielders and strikers had to move with the ball so there was always support and better chances to keep possession if there was no forward option. The GK was a part of that shape movement. Before starting the game we did a quick run through of what we might look like as the ball moves around. I have to think more about what I could improve here. There are a number of things. With this age, the boys are fun and work hard, I just can't be sure of numbers and that throws things off. I adapted my original plan and it worked well, I just prefer knowing as much as possible before showing up. I left the balls in my trunk and the weather turned cold quickly last night and I forgot to check the air in them before arrival. We had a pump, but it's still not professional. My coaching position was not good for the functional part as I got in the way a few times. I will have to make note of that on my plans to remind me. The other coaches had good points to make and I need to remember to integrate them more into the delivery of the session. It's frustrating not having these players more often, but high school soccer is very busy and we don't want players breaking down and falling behind with school. My hope is that they apply this info form our sessions into their play for their schools.